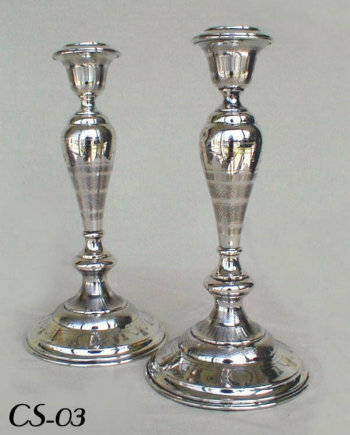 Outstanding Austro-Hungarian Silver Sabbath Candlesticks, c. 1886-1922. 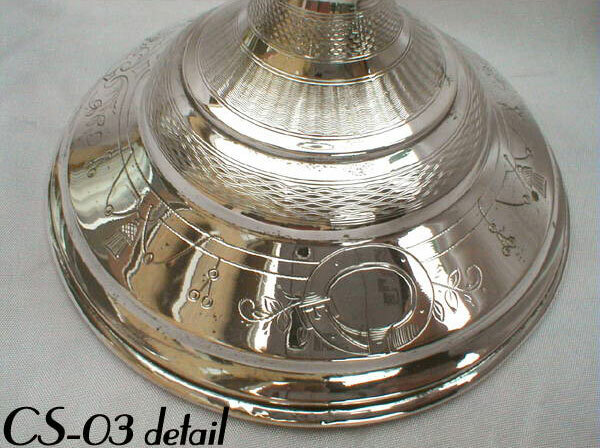 Exceptional example of engine turning and bright cut and zipper cut engraving. 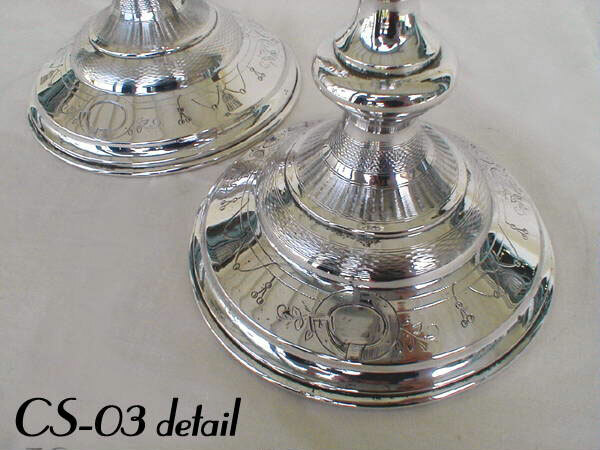 Graceful baluster stem fully engraved with blank cartouche.